Have you experienced Hire A Kombi? Help others learn about this company by sharing your first-hand information with other road-trippers. Slow down the pace and drive a VW Kombi from a small family-owned campervan business in Marcus Hill. The company rents out colorful, bright, and older campervans, which are ideal for undemanding travellers not looking for frills. 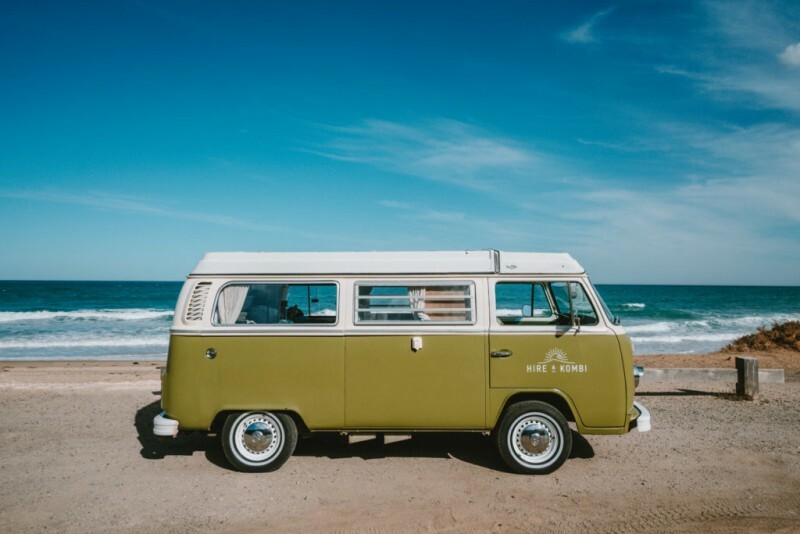 Hire A Kombi is a husband and wife team that lets travellers drive a vintage van along the modern era of motorhomes. 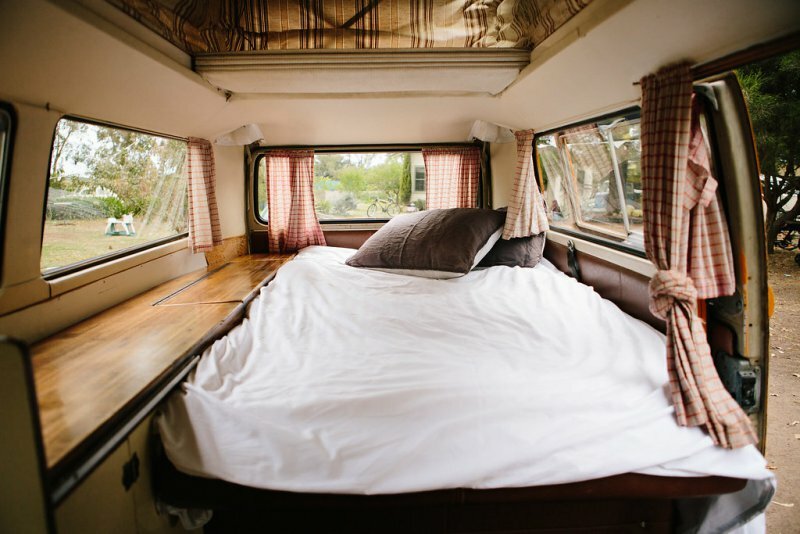 The company allows rental of campervans for camping, marketing, photo shoots, and more. Their pickup and dropoff station is located in Marcus Hill. Vans can be transported to another location but at your own cost. Even if this is a home business, the owners make sure that they offer a wide range of rental vehicles. Their fleet is consist of vividly hued VW Kombis that are older than most motorhomes on the road. These 1970's classic campers run on unleaded petrol 98 only and come with a maximum 200km per day travel allowance. Take note that you are driving a vintage van, hence little hiccups are quite normal. The first to grace the fleet, AppleJack is one of the reasons why Hire A Kombi came into existence. 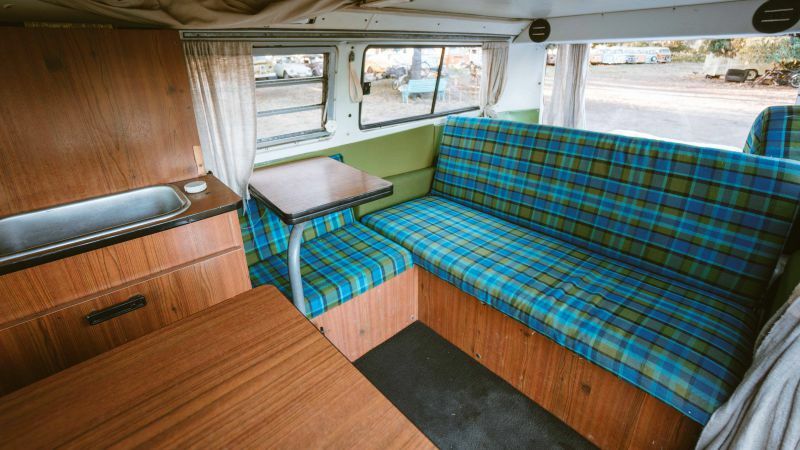 This 4-speed manual, pastel-colored 1978 Baywindow camper exudes that laid-back vibe for a family of 4 (2 adults and 2 kids). There are two double beds–one from the convertible living space and one from the pop-top roof area. The extended roof also adds ventilation and extra storage. Aside from the foldout table inside, there's an extra exterior table for outdoor relaxation. The small kitchen area inside has a fridge, sink, portable gas cooker, and some cooking utensils. 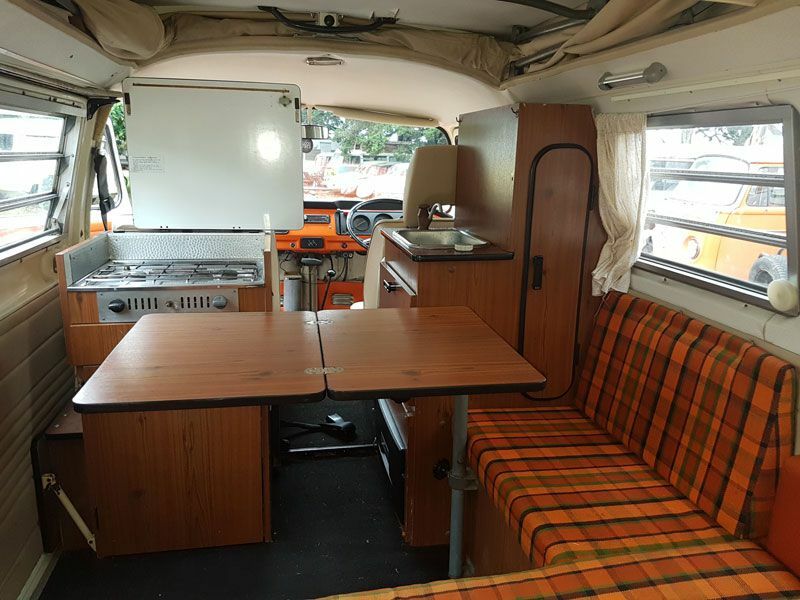 Clancy is a bright orange Westfalia with a modern and funky look. Recommended for 4 adults, this 4-speed manual campervan has a full-width double bed and a pop top bed. 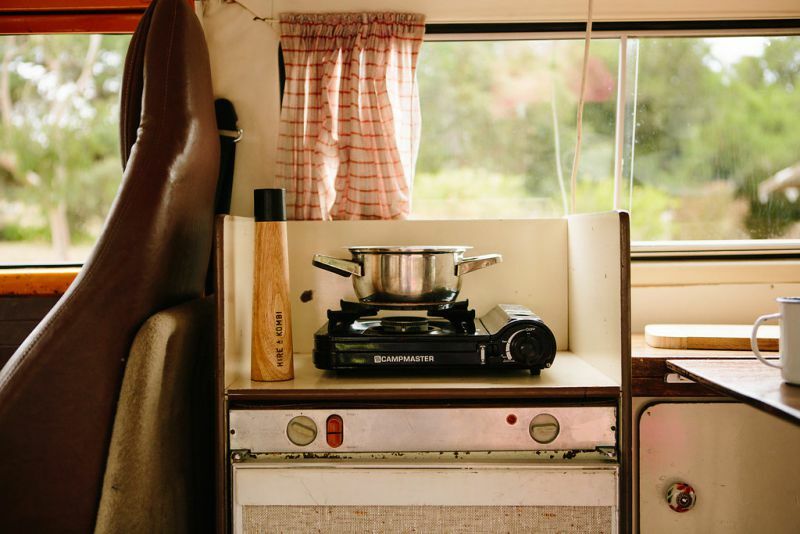 Because of the larger vehicle built, the kitchen area is roomier, with a built-in gas cooker, fridge, and more. This also comes with an awning, exterior table, and camping chairs. 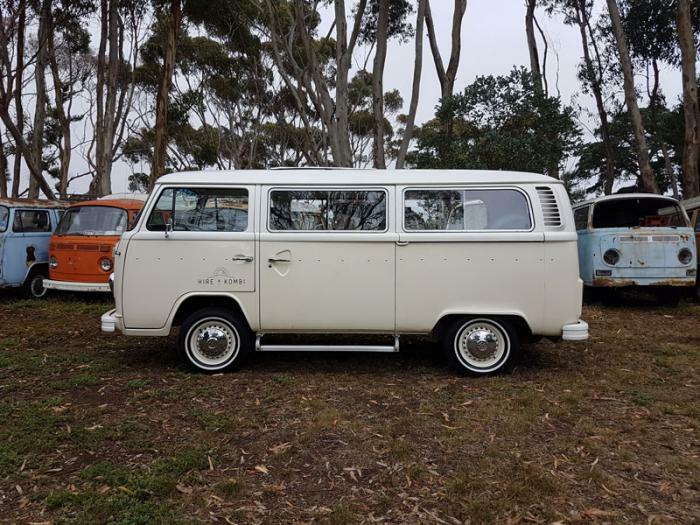 The Gracie is another 4-speed manual Westfalia. This serious charmer seats 5 or 6 but only sleeps 4. Gracie has the same features as Clancy―a small kitchen with sink, gas cooker, fridge, and cooking utensils. The living area seats easily modify into a sleeping space while the pop-top roof adds another double bed. A family favorite by the owners, Greta was added to the fleet for a quick day trip or special getaway. This petite 1965 beetle is often used by couples for a nice glamping adventure. There's a set of roof racks that allows you to bring your suitcase or surfboard. Since there isn't a fitted bed inside, you may want to bring a tent. 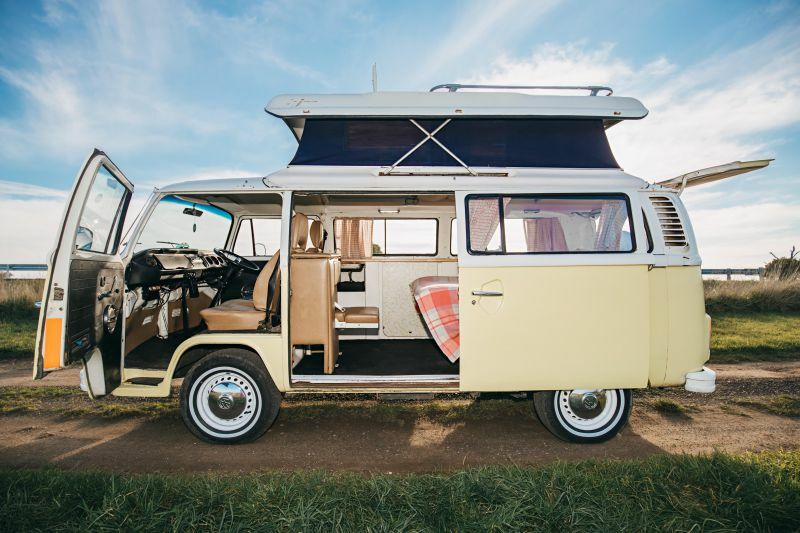 Harriett isn't for a camping adventure, though you can rent this 8-seater, automatic campervan for any photoshoot occasion. 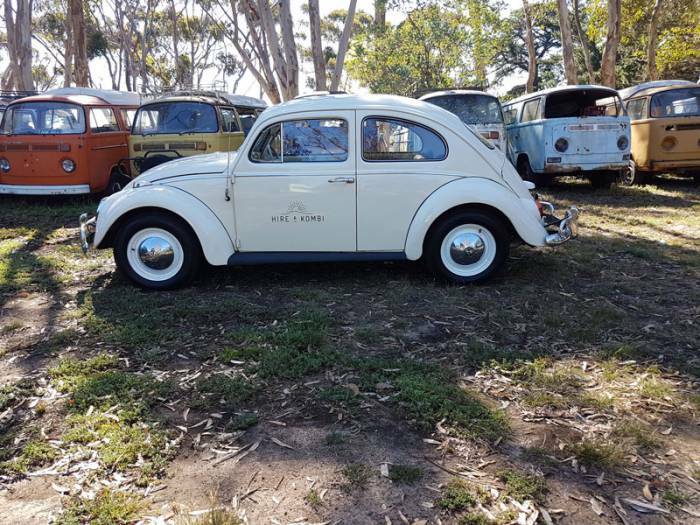 This automatic VW Kombi Melbourne Victoria is recommended for wedding pictorials because of its laid-back yet elegant exterior. 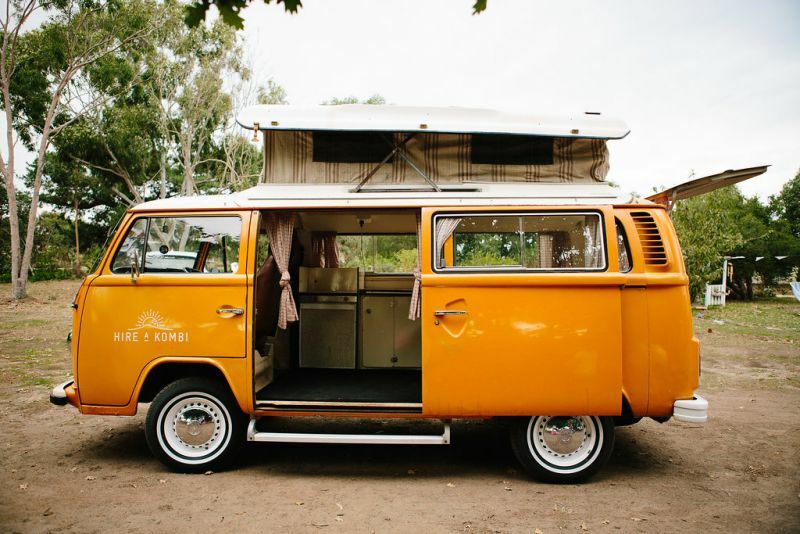 The company's little vintage hipster, Mango is surely an eye-catching campervan due to its warm and bright colors. This automatic unit features reupholstered seats for a more comfortable driving and sleeping. 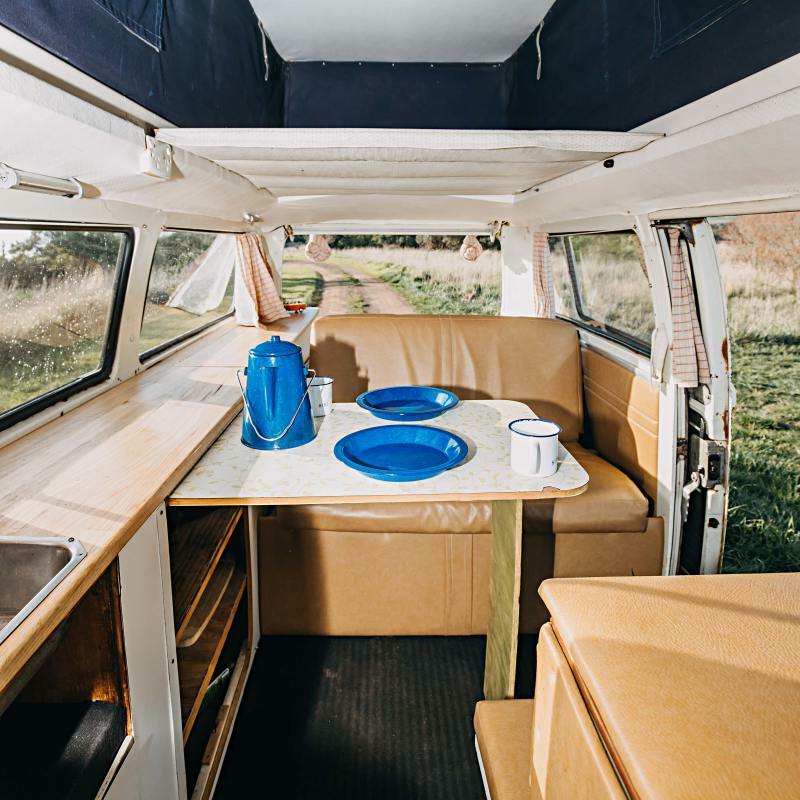 Sleeping 2 adults and 2 kids under 12, the entire family can enjoy the vintage and stylish finish of the campervan equipped with 2 double beds, nice kitchen, table, storage areas, and awning. 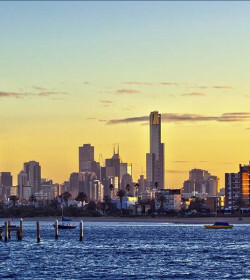 Rental already includes a comprehensive insurance but take note of the insurance excess amounting to $2000 for drivers 25 years and over and $5000 for 21 to 24 years old. Upon vehicle pickup, driver's must provide a security authorization or details from their credit card. The company provides extra insurance option from Rental Cover to guarantee that your money will be returned in case of an accident. Just like driving any vintage van, these models entail extended effort and patience. This might not suit well to fancy travellers who want all bells and whistles, though the units are well equipped with camping essentials including an awning and camping chairs. 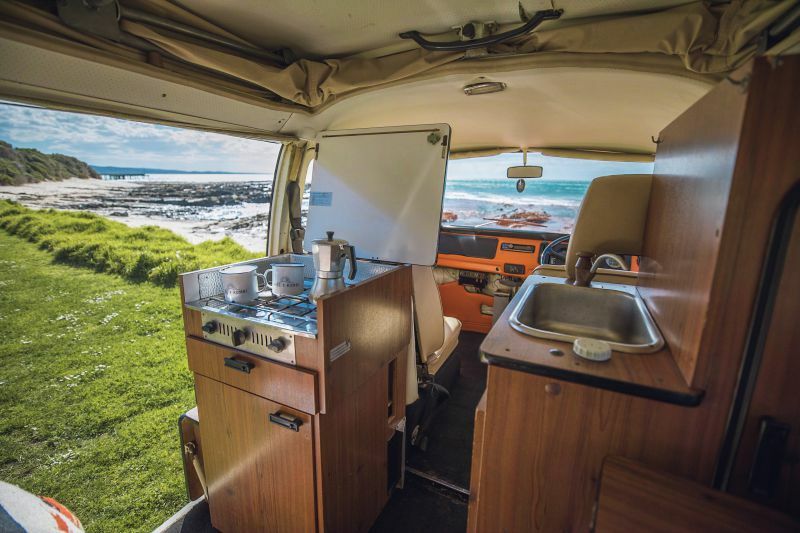 These campervans are ideal for simple adventurers who wouldn't mind slowing down their pace and enjoy the scenic views. Couples and families get to enjoy the great interior set up that would make you think twice that these are over 40 years old campervans. 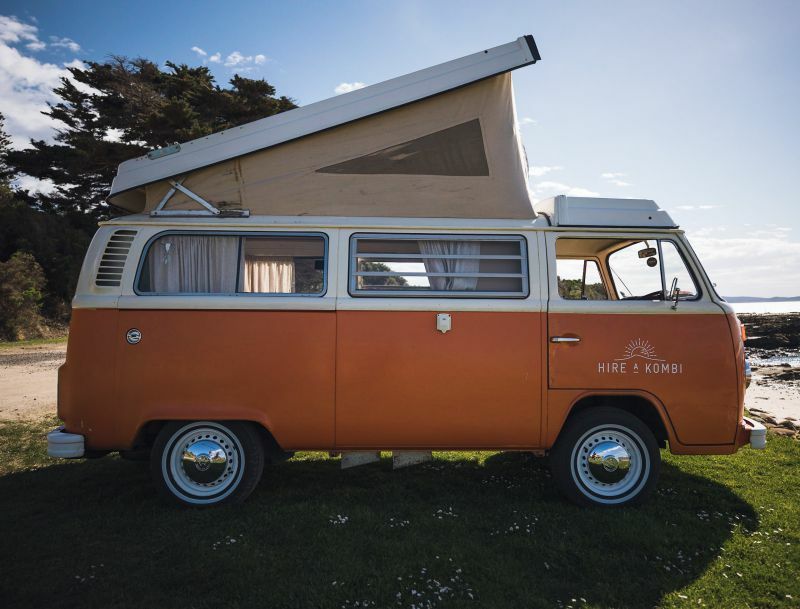 Keeping the Kombi dreams alive, Hire A Kombi continues to rent out their show-stopper, vintage vans for a rather unique and laidback road trip. Have you experienced Hire A Kombi?